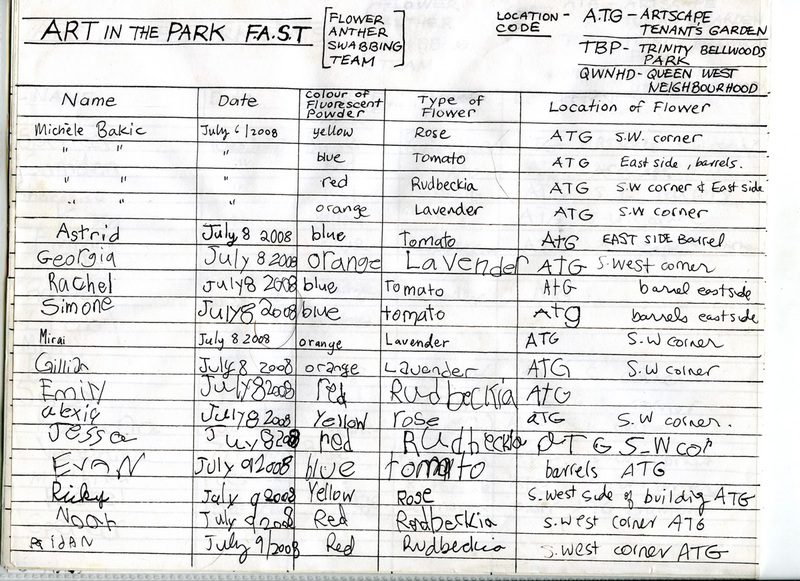 Led by Michelle Bacik, youth involved in Art in the Park at Trinity Bellwoods are regularly swabbing anthers of various flowering plants in the adjacent Artscape tenants’ garden and in Trinity Bellwoods Park with the colourful fluorescent tracking powders and are keeping a log of their activities in the gallery. Together with Michele and some participants in the CARE programme, they raised our tomato plants from seedlings and cared for them throughout the Spring and Summer. Garden assistance generously provided by Gene Threndyle and resident gardeners of 900 Queen W, Michele Bakic, CARE youth, and the F.A.S.T. 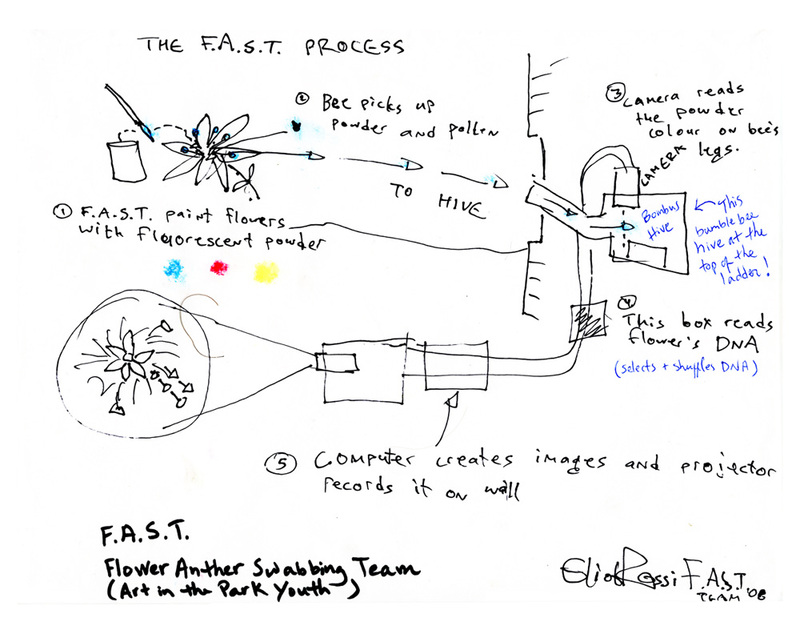 team (flower anther swabbing team from Trinity Bellwoods Art in the Park).